22. 25 Agorot 1980 KM# 99 Nickel Bank of Israel 25th ann. 27. 1/2 Lira 1980 KM# 100 Nickel Bank of Israel 25th ann. 41. 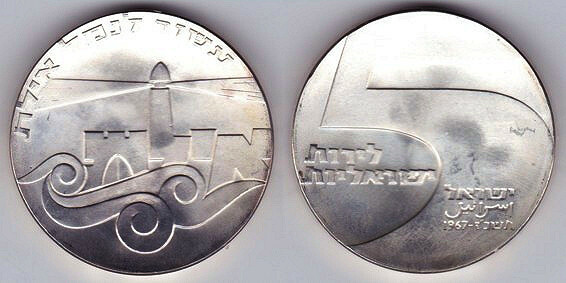 5 Lirot 1980 KM# 102 Nickel Bank of Israel 25th ann.